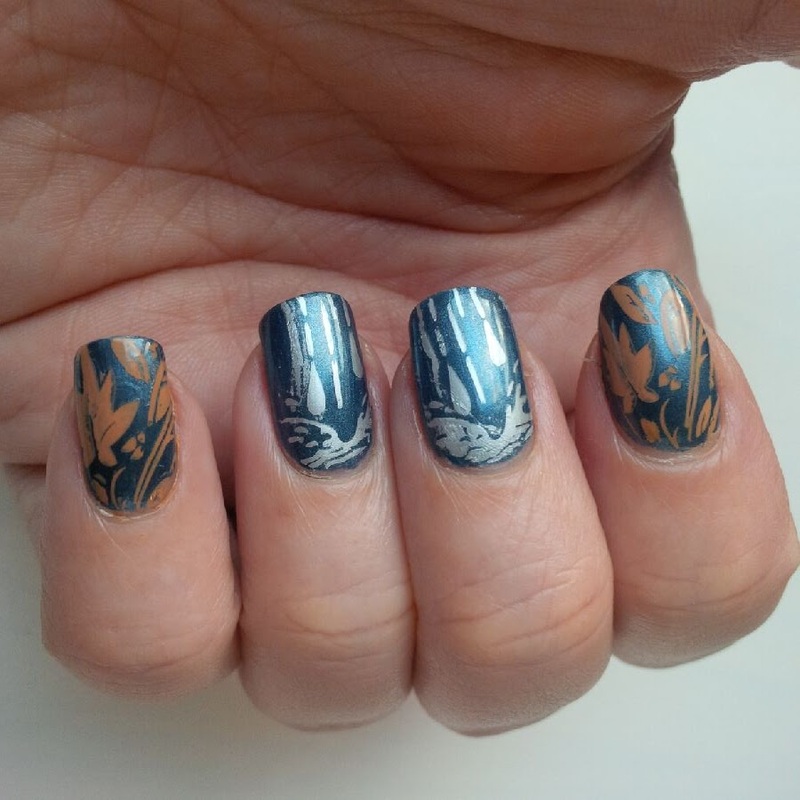 For stamping I used the Nailways Autumn stamping plate 01. Weather Forecast. This stamping plate is perfect for this time of year. When it's coming to snow next week you can use it too! For the stamping colors I used Mundo de Unas 18. Silver and 62. Pinon. Pinon is a brown orange color so for the leaves it's a very good color. 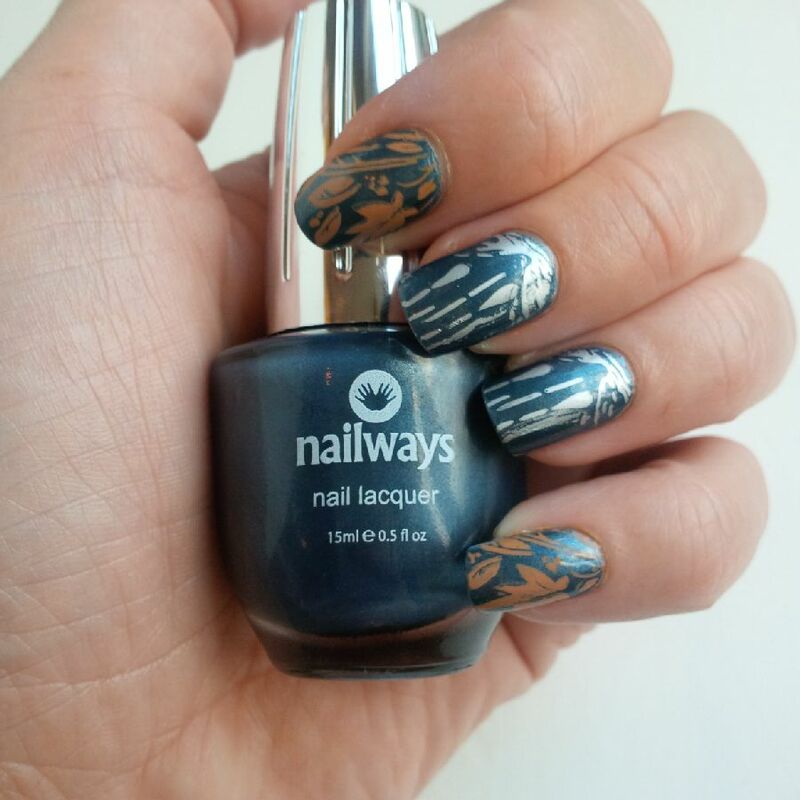 The rain I made silver to give this nailart a little glamour look.